Become a classy housewife with this polka dot 50s dress. 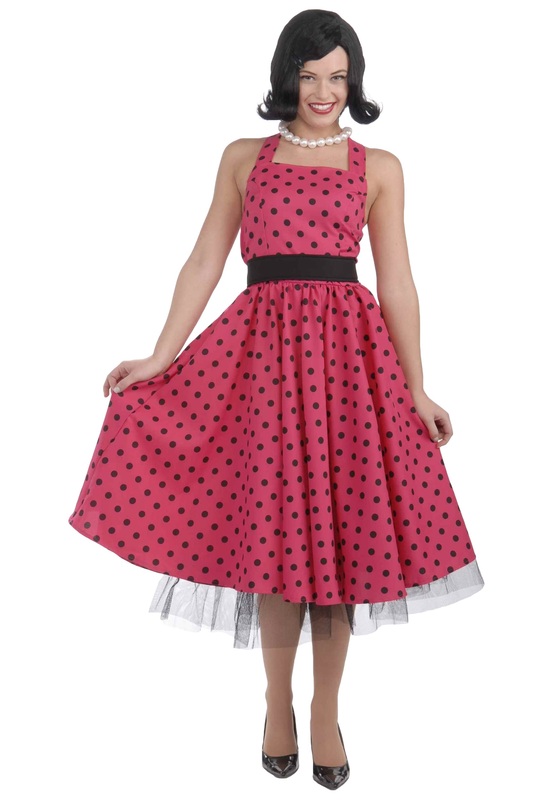 The womens fifties costume includes a traditional 1950s-style polyester pink dress with black polka dots. The dress has a zipper in the back, and the bodice has an elastic band for a snug fit. 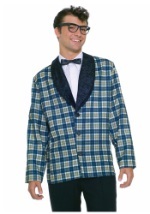 The dress ties around the neck. 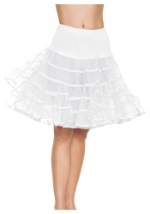 The white crinoline underskirt has an elastic band and a black fringe. 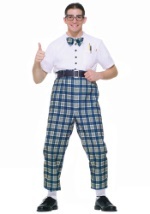 The black belt ties around the waist. 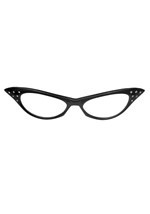 Slip on our faux pearl set for a swell 50s Halloween costume!